In the aviation world, one hears of competition and disagreements in the skies, but in India, over the past year, an air-related battle has been steadily brewing — on the ground. Ground-handling is all the work on the ground relating passengers, cargo and aircraft. It involves passenger check-in, aircraft cleaning, aircraft handling, fuelling, baggage handling, cargo handling, boarding and disembarking passengers i.e. attaching the aero-bridge or ladder, etc. It does not include engineering functions, and catering. Most passengers remain blissfully unaware of ground handling, since much of it happens out of sight, and is transparently to us, till there is a hiccup. In India, most domestic airlines do the ground handling themselves also called “self handling”, as they find it cheaper. Some foreign airlines with extensive operations to a given city, also do self-handling. Other airlines outsource the ground handling to either Air India or private companies like Cambata Aviation. This has produced what I can best describe as an “organised zoo” at most Indian airports, especially the larger ones. As per the government, currently, more than 50 ground handling agencies, employing over 70,000 people, operate in India, which in many ways leads to chaos and congestion, especially at Mumbai and Delhi airports. The duplication of equipment is enormous, as is the consumption of space used to store them when not in use, which is significant. The multitudes of companies and people involved, have also created a security nightmare in terms of administration. To address these issues, in 2007, the Government of India laid down a new Ground Handling Policy (GHP). The Indian Directorate General of Civil Aviation (DGCA) issued a circular dated September 28, 2007, and the Airports Authority of India issued a notification dated October 18, 2007 — to be effective January 1, 2009 that essentially said, airlines cannot employ their own staff for ground handling, nor can they engage any outside agency at the six major airports (Mumbai, Delhi, Kolkata, Chennai, Hyderabad, Bangalore), other than from a basket of those pre-selected by the airport operator. 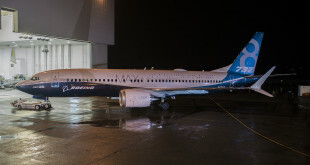 Simultaneously, the new policy also clarified that only domestic airlines can handle the ground services at the other smaller airports. The idea was noble, and does make sense. The six major airports were to have selected two ground handling agencies, each, to provide services, using “competitive bidding to ensure that the best-equipped ground handling agency is selected.”, but, as with any government initiative, it got lost in translation to policy, and flawed in implementation. 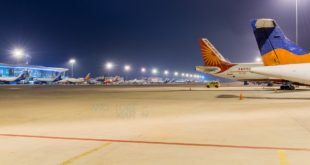 A taste of the “competitiveness” was given earlier this year, when the government had to back down from implementing this policy, after airlines boycotted India’s first private Greenfield airport, the Rajiv Gandhi International Airport at Hyderabad, citing the exorbitant prices demanded by the private ground handling agents. The back-down affected the revenue plans of all airports, especially the privately operated ones at Mumbai, Delhi, Bangalore, and Hyderabad. Another fundamental flaw is the inclusion of passenger facing services such as check-in in the ground handling policy. Check-in is a core customer service and product differentiation function for airlines. To expect airlines to exclude themselves from this critical function, is outright naive, and has expectedly, invited protests and non-cooperation from the airlines and their staff. Another factor, and for this, one has to blame decades of left-leaning, communist hugging, Indian labour laws, that allow an organisation to hire a person, but never to fire. Government being the champion of these laws, and by extension all government controlled entities, have thus created a culture which tolerates unheard levels of incompetence, indifference, and sloth, in some cases bordering on criminal. The state owned carrier, Air India, is also, one of the biggest ground handlers, but has formed a separate joint venture company Air India-Singapore Airport Terminal Services (AI-SATS) for ground handling. In most countries, one would logically expect a smooth transfer of employees to the new company and minimal disruption, but not in this case. After all, SATS has operational control, and will demand maximum productivity from these employees. Naturally, incidences of union led disruptions have erupted over the last month, as the implementation date draws closer. A union called CAJAF (Civil Aviation Joint Action Front) has been protesting, disrupting ground operations, and in one totally deplorable incident, Air India staff, part of CAJAF, beat up the COO of SATS, Mr. Karamjit Singh . Thanks to the inclusion of passenger check-in in to the GHP, and exclusion of foreign carrier, employee unions of of foreign carriers, Gulf Air, British Airways and Saudi Arabian Airlines have challenged the notifications in court claiming this would lead to job losses for over 50,000 workers. Staff of other airlines are silently cheering them on. I must congratulate the government on achieving the impossible. In one fell swoop, the policy has united domestic and international airlines, as well as trade unions in their wrath. While the employees fear the new policy will divest a staggering 15,000 people of their jobs, airlines fear that it will affect customer services. A new approach to ground handling is critically required, but it needs to be done with cooperation and rational expectations from all sides. Everyone will have to compromise to reach an amicable solution, the question is will they ? As usual your comments are requested. Previous Philippine flight finds no controllers in tower! !